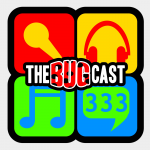 This week on The Bugcast: lots of news, lots of tech, lots of clocks, and we play 8 great tracks of independent and Creative Commons music! Clocks go back in Europe this weekend! ⅔ of the way through the show year… time to think about episode 350! The next live show will be episode 333 – a Halloween special – which will be broadcast live in the chatroom on Friday 31 October 2014 at 21:30 UK time (BST/UTC+1).